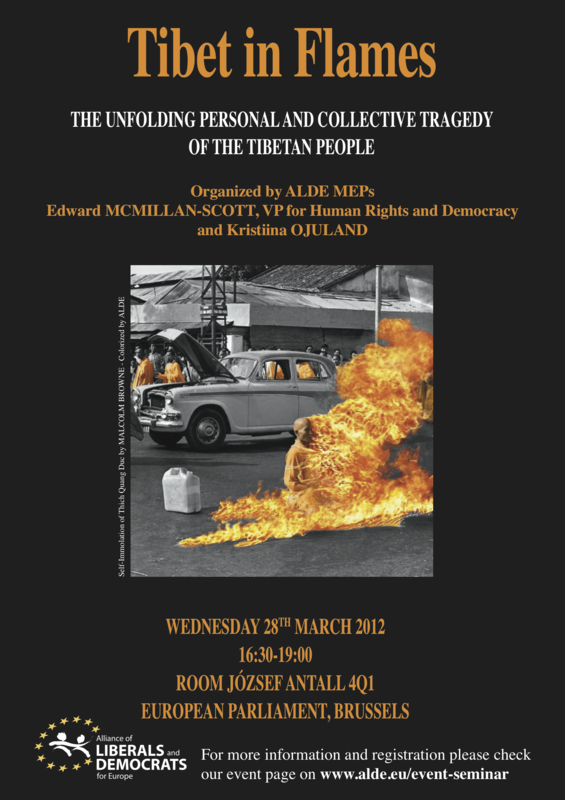 I’m off to Brussels tomorrow for a conference “Tibet in Flames”. It’s being hosted by Vice President of the European Parliament Edward McMillan-Scott and Kristiina Ojuland, MEP. Here’s a link to the agenda. Then on March 13, I’ll be taking part in a panel discussion about Tibet along with Robbie Barnett at Politiken at 4:30pm. Looking forward to visiting Denmark again, the only time I was there before was 12 years ago on an Inter-rail trip when I was young! Last November and December I carried out an interview with Woeser La that focused specifically on her poetry and development as a writer. 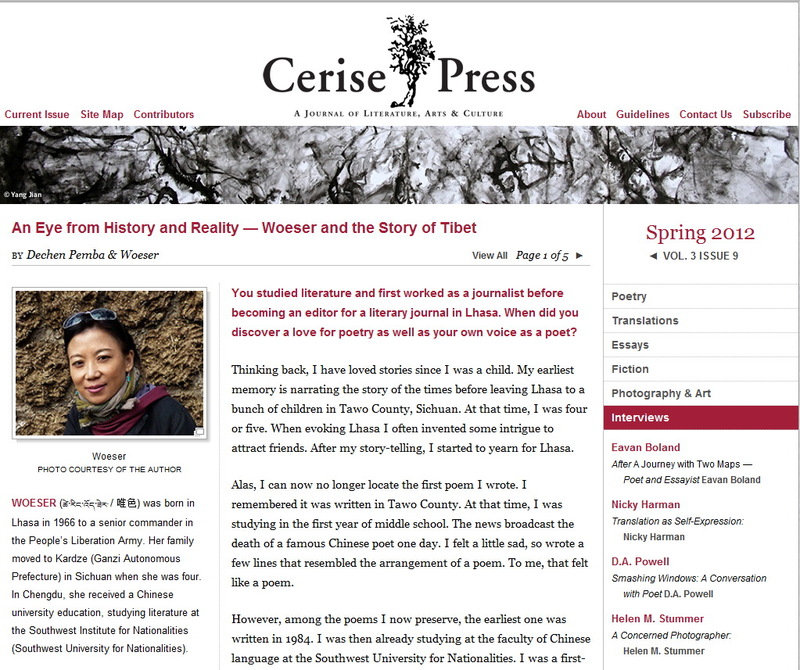 I had been asked by the arts journal Cerise Press to conduct this interview and I was grateful for the chance to ask Woeser La about her poetry, of which I am a big fan! To refresh my memory I happily re-read my copy of “Tibet’s True Heart” and also re-visited a review I’d written of it back in 2008. Finally I wanted to embed this video that was put together by the Prince Claus Fund and features footage filmed by Tenzing Sonam and Ritu Sarin in Beijing in 2008 for their documentary “The Sun Behind the Clouds”, seeing this also brought back a lot of memories about those busy few days we spent together!